The TLI MP-202 Polarizing microscope is a cost effective, professional instrument for use in Geological, Mineral and Metallurgical applications, or for any application where Polarised, transmitted light is required. 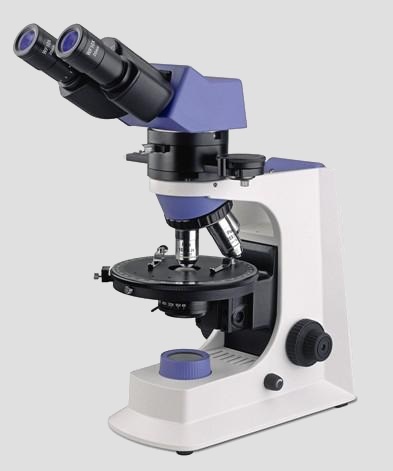 This microscope provides a single polarizing view, an orthogonal polarizing view, or a cone light view. The microscope is equipped with a range of attachments including gypsum(1 λ), mica(1/4 λ ) test piece and quartz wedge. Seidentopf Binocular Head: Inclined 30°, Rotatable 360°, Interpupilary Distance: 50-75mm.